This entry was posted in Load Data, Reloading and tagged 6.5 Grendel, 6.5 Grendel Load Data, 6.5mm Bullets, Grendel, Grendel Load Data, Load Data, Sierra Bullets Grendel, Sierra Bullets Load Data. Bookmark the permalink. Y’all didn’t include AR Comp? Works great in my rifle. How about a 120 ish grain Gameking for the Gren? Right!? This works well in my rifle too. I’m pushing a 123 SMK 2490fps with 28gr of ARcomp out of a 18 inch barrel. No signs of pressure and groups under .75 of an inch at 100m. All the obvious powders are missing ARComp, 8208XBR and CFE223. Probably not being it falls on it’s face compared to the Grendel. Especially at longer ranges. i have a bca upper 20 in. 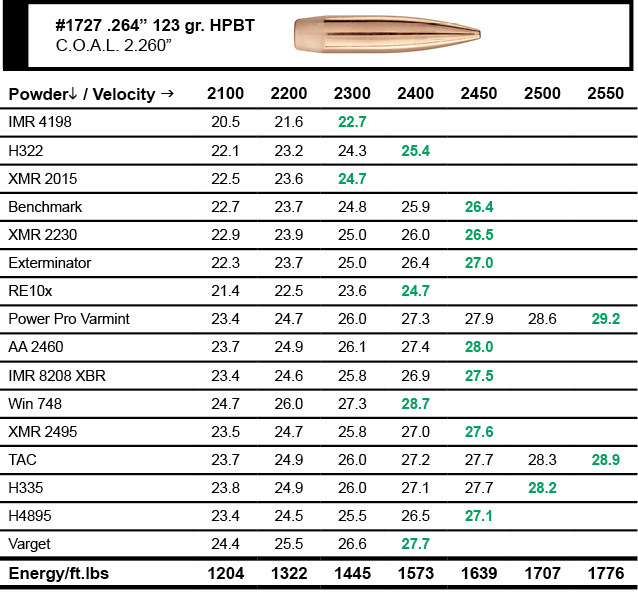 using 123 gr bthp with 26.6 gr. imr 8208xbr. getting under 1 in. groups at 100 yds. lt. recoil easy to shoot. next load is going to be with the 107 gr smk load development. like this cartridge, hoggs, deer and coyotes 1 shot per customer.. 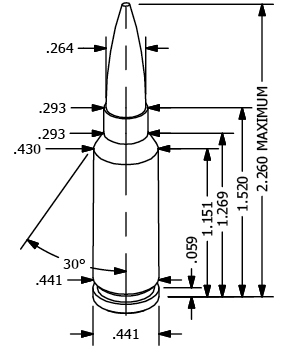 Thanks so much for the data on 6.5 grendel long time coming V/R Nick USN-Ret. In my ar15 with Lilja 23″ barrel I’m getting 2560fps with Sierra 123grain hpbt using 29.3gn of Alliant power pro varmint with CCI 450 primers . Not as accurate as 8208xbr ,but a bit faster . 8208xbr ES=12. Does Sierra no longer work up accuracy loads ? or are they just not included until the new manual comes out? 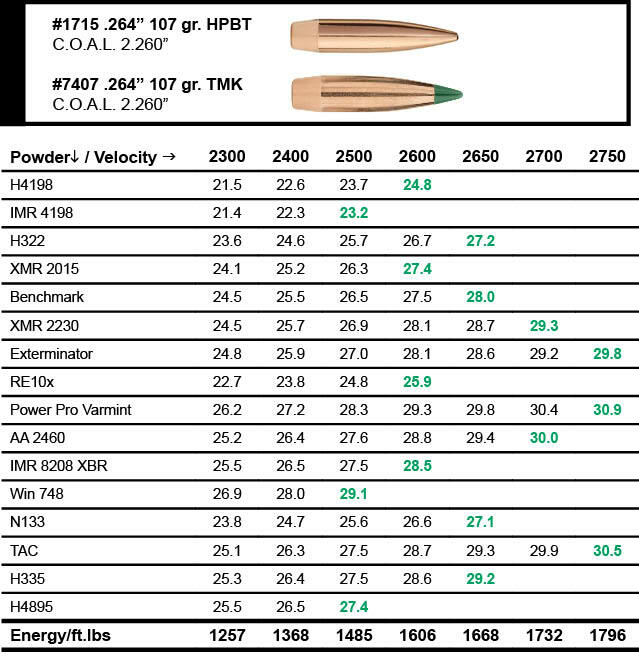 With the popularity of the Grendel, why no CFE data and why not 107gr hunting bullets? Hey Frank I am with ya on why no info about CFE-223 i like using all there bullets from 85-123 gr sure wish some one would reach out to us about it . V/R Nick USN-Ret.